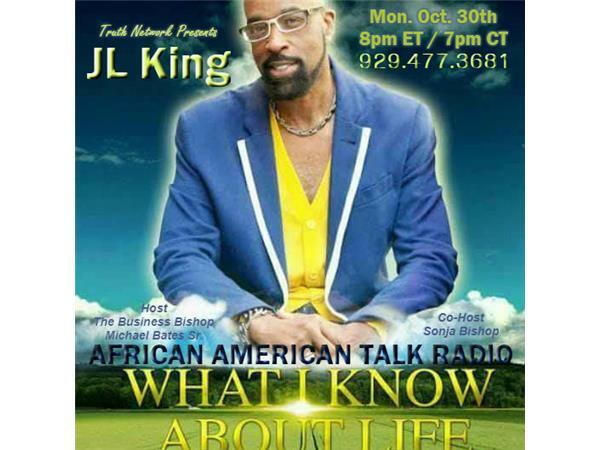 This week's guest is national best selling author, philanthroist, publisher JL King. We will talk with JL King about where he's been and what's in the works. We'll highlight some of his inspirational works, "Faith Over Fear," "Just Say HELL NO!! !," and "Welcome to Life with JL which can be found on Youtube. J.L. 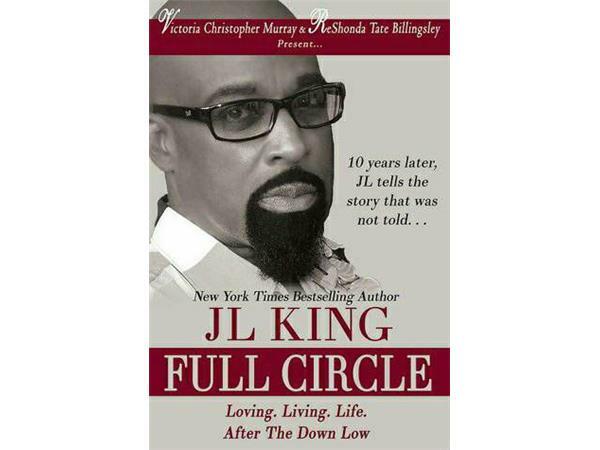 King is a New York Times best selling author, publisher, and HIV/STD activist. Subjects of his work include the nature of human behavior, effects of health issues on minorities, and sexual orientation and its impact on schools. King’s first book, On the Down Low: A Journey Into the Lives of Straight Black Men Who Sleep with Men appeared on The New York Times best seller list for more than 30 consecutive weeks. JL King is the owner of Urban Moon Publishing, a comprehensive self publishing company founded in 2001 that focuses on increasing the influence of minority writers. JL King has appeared in several national and international publications, including Newsweek, Time Magazine, The Washington Post, and The Chicago Tribune.He has appeared as a special guest on many television shows, including The Oprah Winfrey Show, Inside Edition and CNN. He has been listed in Ebony Magazine’s 50 most Intriguing Blacks and honored as an NAACP Image Award Nominee for Outstanding Literary Work. In 2006, JL King produced “The DL Exposed”, an award winning documentary that was broadcast on Black Entertainment Television (BET). The documentary was the number one watched program on BET that year. JL King is the newest member of the 88.1 satellite radio project launching Nov. 11th... Stay tuned as JL will bring lots of inspiration! 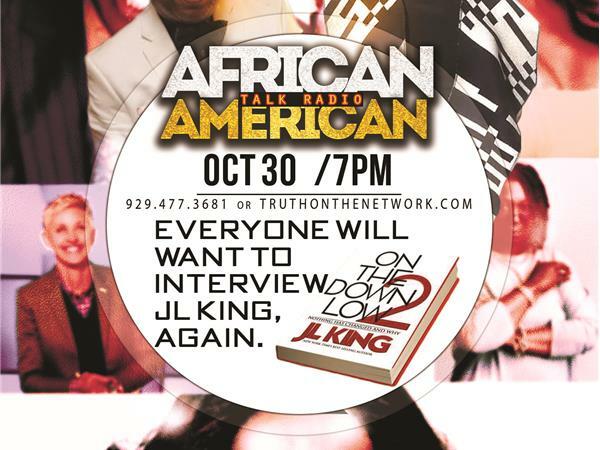 Tune into African American Talk Radio weekly Mondays, 7 p.m. CT / 8 p.m. ET.... Call 929-477-3681 to listen!